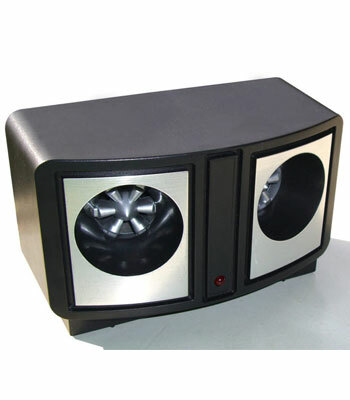 Ultrasonic Dual Speaker. Drives away pests and insects by using ultrasonic sound waves that attack the auditory and nervous systems. This Ultrasonic Pest Repeller with Twin speakers protects a room up to 200sqm. The Dual Sonic pest repeller protects an area of about 200 square metres by automatically sweeping the ultrasonic range between 24,000Hz and 45,000Hz. 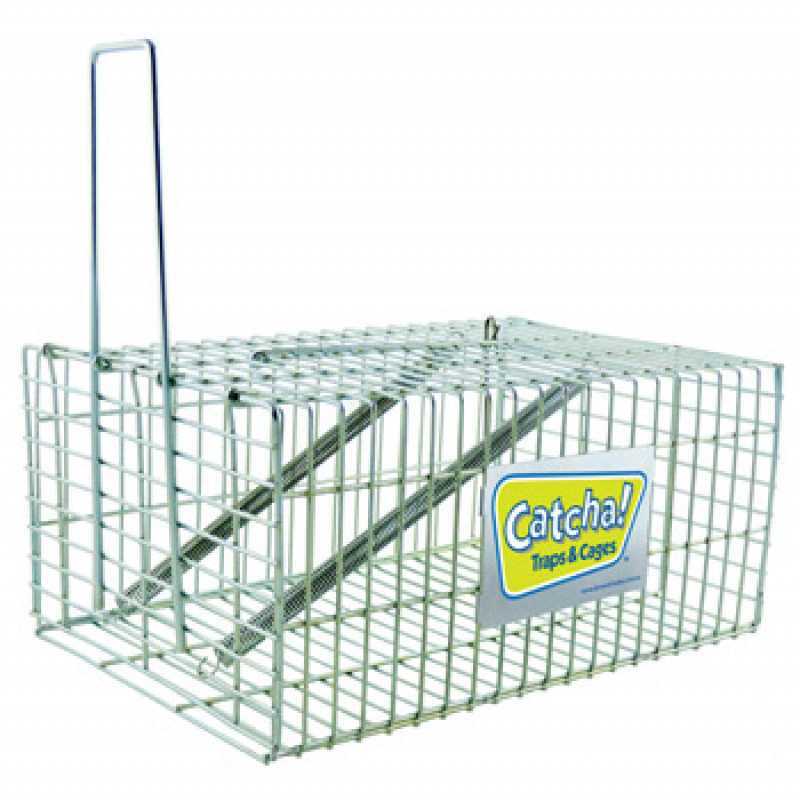 The Dual sonic pest repeller will not interfere with televisions, radios, or any other electrical device. These sound waves are out of the hearing range of humans and household pets such as dogs, cats, fish and birds etc. 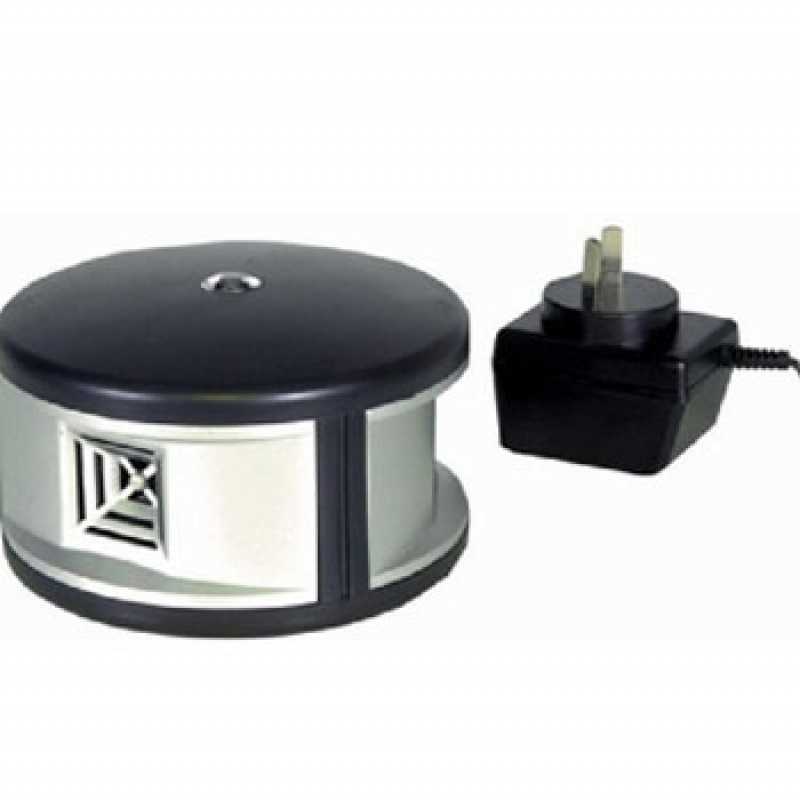 Plug in the Ultrasonic pest repeller with the adaptor supplied. You will notice a red LED light on the front of the unit  this lets you know that the unit is powered up and operating. Turn the sweep control knob at the back of the device fully to the left. Every month move the sweep control knob slightly to alter the sweep rate so that the pests dont become accustomed to the same pattern. Press the test button before and after any adjustments  this will let you hear the slight difference in the sweep rates. Do not place the Ultrasonic pest repeller on carpeted surfaces, behind furniture or other objects as they will absorb the sound waves and decrease the effectiveness of the device. Do not place the ultrasonic pest repeller near your ear when using the test switch. 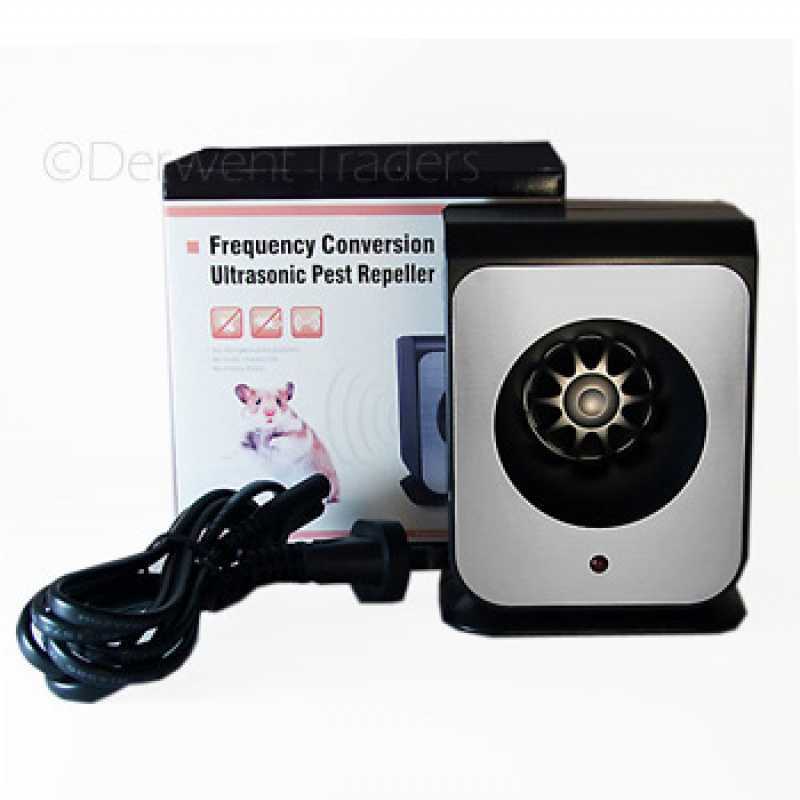 The Ultrasonic pest repeller is not waterproof and is designed for indoor use only. For year-round protection leave your Ultrasonic repeller plugged in.